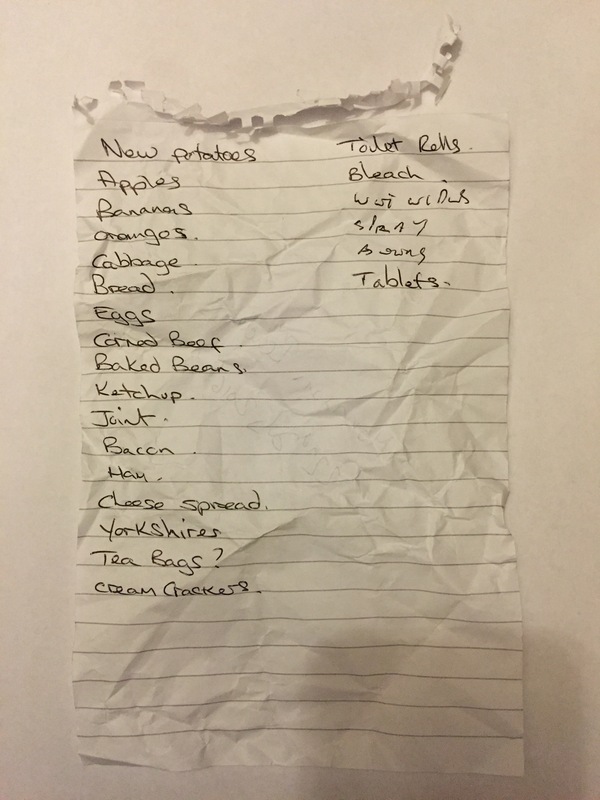 New potatoes, apples, bananas, oranges, cabbage, bread, eggs, corned beef, baked beans, ketchup, joint, bacon, ham, cheese spread, yorkshires, tea bags, cream crackers, toilet rolls, bleach, wet wipes, spray, bowns?, tablets. The joint of meat and the Yorshire puddings suggest a roast dinner. Maybe there were other potatoes in the house as the new potatoes here might not be ideal for roasting. Non food items have their own column.